Confusion regarding pursuance of PhD or masters in financial economics. You are only truly successful and happy with your work when your work employs your strengths and passions optimally. Many working professionals do not find the right career fit immediately and have to experiment and select. Since the process of changing jobs and careers is a difficult one, many people stay stuck in jobs and careers that they dislike. Even if they’re willing to make the change, they just don’t know their options. To avoid leading an unsatisfying professional life, it helps to consult a Career Counsellor who can advise you about what to do when you’re unhappy with your career. The need for Career Counselling among working professionals is massive since many people join careers not because they are interested in them but due to societal, parental or peer pressure; and as a result, they end up regretting their decisions later. It is important to understand that as a professional, each individual’s situation is unique. There are a number of factors that determine a person’s success and happiness at the workplace, including superiors, colleagues, luck, job role, interests etc. A Career Counsellor helps you in making career decisions while keeping these unique characteristics in mind. He/she first understands your situation completely, and then guides you towards the decision/choice that is most suitable for you. Decisions like whether to make a career change or not, whether to go for the additional education course or not and how to go about getting a job after being fired/laid – off are all made easier with the help of a Career Counsellor. A lot of working professionals face an inner desire to change their profession and pursue the career that truly aligns with their interests and personality. This is one of the most complicated decisions that you can ever have to make as a working professional. The desire to change one’s career stems from dissatisfaction regarding your current and future prospects, as well as from the feeling of being able to pursue greener pastures in some other career. If you’re a professional who feels that your true passion lies somewhere else and you are seriously considering pursuing your dream career, you need to be very careful and consider all options carefully before making a choice. A Career Counsellor proves to be a major help while making such a decision. The first thing a Career Counsellor will do is to understand your personality, strengths and weaknesses. Accordingly, he/she will analyze whether your dissatisfaction is job – related or career – related. For example, the desire to change your career might be stemming from the long hours you put into your job every day. However, it is possible that you might not realize that your working hours are not a convention in your career and that you would be putting in much lesser hours at any other organization. In such a scenario, the solution to your problem would not be changing your career, but rather simply changing your job. In situations where you are genuinely dissatisfied with your career, i.e. when you want to pursue some other career, a Career Counsellor will make you aware of the pros and cons of the change and will also share an analysis of your personal fit with the new role. In case you’re going ahead with the change, a Career Counsellor will guide you as to whether it is ideal for you to take up further education/training that might be required for your new career. This might involve considering the courses and colleges you can join. If further education/training is not required, then Career Counsellor will provide you with suggestions regarding how to go about making the change. It often happens that people realize that they want to change their career, but are not able to pin – point what other career/s they can pursue. A Career Counsellor becomes absolutely vital in such situations, as he/she also helps you decide what careers you’ll be suitable in and should pursue, as well as how you should go about making the career change, if at all. As a working professional, you might have to deal with setbacks in your career. These can include things like being fired or laid – off or taking a long sabbatical from work due to a burnout or maternity leave etc. In such situations, professionals often have to start afresh, which presents a challenge as well as an opportunity. In case you’ve just faced a setback in your career, there are a lot of decisions that you will be required to make such as whether to pursue the same career or another one, the sort of company culture that would suit you more, additional education/training you could take up before re – joining the workforce etc. All these are important decisions that a Career Counsellor can help make easy and methodical. A Career Counsellor will first study your personality and analyze your current situation. He/she will assess whether you’re a good fit in your past career and whether it will be ideal for you to make a career change. As a professional, you might often come across circumstances when you feel the need to update your skills or educational qualifications to become more productive at your work and move into more senior or alternative roles. It is ideal to consult a Career Counsellor in such situations, as pursuing a course will normally require you to leave your current job thus making it a very risky decision. Additionally, the course might or might not be worth the risk, time and money. An Engineer might decide to pursue an MBA so as to move into managerial roles that will provide him with more authority, flexibility and higher pay packages. On the other hand, another Engineer might decide to pursue a Master’s in Engineering so as to further specialize and move into superior technical roles. Both these decisions are beneficial, but one might suit a particular individual more than the other. A Career Counsellor will understand your situation and guide you to explore the risk and benefit of going for further education. He/she will help you figure out your future plans, prospects and suitability. A Career Counsellor will help you analyze the pros and cons of your alternatives before you make a decision. 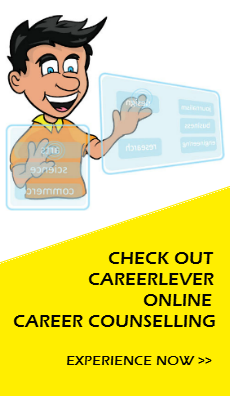 Click here to learn about the CareerLever Online Career Counselling Process. Click here to return to the career counselling home page. What Does a Career Counsellor Do? Who Needs A Career Counsellor?